01 TUE. Madrid - Arrival. TODAY’S HIGHLIGHTS: Evening transport to the Gran Vía district. Welcome to Madrid! 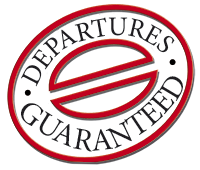 Upon arrival at the airport, we shall be waiting to transfer you to your hotel. Our guide will be ready to welcome you and will provide the necessary information. Towards the end of the day, we provide transfers to the Egyptian Debod temple, Plaza de Es­paña and Gran Via; a vibrant district where you can dine at your preferred restaurant: Indian, Chinese, Spanish and Middle Eastern are some of the options. The day starts about 08.30 hrs with a comprehensive tour through the centre of Madrid including Paseo del Prado, Cibeles, Neptuno, the Gate of Alcalá, Gran Via, Plaza de Colón and Plaza Mayor. Visit to Retiro Park, an oasis in the city centre, where we will see the lake and the Glass Palace. Admission to Las Ventas Bullring included. This is one of the most famous bullrings in the world where we will learn about the tradition of “corridas” in the Bullfighting Museum. Enjoy the rest of the afternoon. At sunset we provide a transfer to Plaza de Oriente, opposite the Royal Palace, an elegant and bustling area with many restaurants serving different exquisite cuisines (Indian, Middle Eastern, Muslim, Spanish, International) in which to enjoy a pleasant dinner. Return to hotel. 03 THU. Madrid - Zaragoza - Poblet - Montserrat - Barcelona. TODAY´S HIGHLIGHTS: Basílica del Pilar. Visit to a mediaeval monastery. Ride on a rack train..
We depart early in the morning from Madrid. Heading towards Aragón, we pause our journey in ZARAGOZA. Our guide will join the group to Basílica del Pi­lar. Directly afterwards the group will have free time to visit this impressive sanctuary and enjoy the city centre. Later, we make our way to Cataluña to the Monastery of Poblet, surrounded by walls in a beautiful setting, this is one of the best preserved mediaeval monasteries in the world (entrance and guided tour included). We then go on to the Monastery of Montserrat where we include a ride on the rack train for the fantastic views this gives. Continuation to BARCELONA, arrival in the late afternoon. TODAY’S HIGHLIGHTS: Barcelona city tour. “Spanish Village” visit and evening transfer to Las Ramblas district. Today we will get to know Barcelona, an impressive city right on the Medi­terranean Sea. Our visit includes an informative city tour with a local expert (note: If the group has fewer than fifteen people, explanations can be given by our guide.) We also visit the city’s historic central area with its Gothic neigh­bourhood dating back to the Middle Ages. We will visit the area where the Olympic Games took place. It will be possible to see and photograph La Sagrada Fa­milia basilica; the masterpiece designed by the architect Gaudí. Subsequently, we include the entry ticket to “Poble Espanyol” (meaning “Spanish Village”). This open air architectural museum is situated in one of the most emblematic areas of Barcelona. Be delighted by the best Spanish craftsmanship and discover the architectural styles, traditions and folklore of the different communities in Spain. Free time to explore the city on your own. In the evening we provide transfer to Las Ramblas and Plaza Cata­lunya area, where you can select from a great variety of restaurants (including Indian, Chinese, Halal, International and regional Spanish cuisine). Return to hotel. 05 SAT. Barcelona - Peñiscola - Valencia. TODAYS HIGHLIGHTS: Visit Peñiscola, a beautiful walled town combined with a castle on the sea. Discover Valencia’s City of Arts and Sciences. Evening transfers. We travel south along the Mediterranean. A special stop is made at Pe­ñiscola, a small walled town on the shores of the sea. After a short introduction given by our guide, you can make your way through the town, discovering the fishing port, the castle and the beach. Time for a walk and lunch. Afterwards we travel to Valencia, the third largest Spanish city, where we will see the City of Arts and Sciences, the most important modern tourist site in the city of Valencia. Next, we walk through the historic centre of the city, and our guide will accompany us to the Cathedral. Evening transfer to the Plaza de Toros. In this area you will have time to dine in line with your preferences (Spanish, Indian, international, etc.). Return to hotel. 06 SUN. Valencia - Alicante - Caravaca de la Cruz - Granada. TODAYS HIGHLIGHTS: Tourist train in Caravaca. We continue through the community of Valencia. ALICANTE. Time to stroll in this active and very pleasant city by the sea. After lunch we go on our way to the Murcia region, where we will see CARAVACA DE LA CRUZ, A town considered by the Catholic Church as one of the 5 holy cities, its church holds a relic of Christ’s Cross. We include a ride up to the historic area on the tourist train. After this we will carry on along an attractive scenic road to ANDALUSIA. Arrival at the end of the day in GRANADA. TODAY’S HIGHLIGHTS : Visit to the Alhambra. Night transfer. A full day in GRANADA and tour (including entrance and local guide) of the immense Alhambra Palace and its beautiful Generalife gardens built in Arab times. Time for lunch. Free afternoon to see the Cathedral with the sepulchre of the Catholic Kings. Later, enjoy an evening transfer to the Albaicín of Granada, a World Heritage site along with the Alhambra, where you can enjoy dinner in a restaurant in the narrow winding streets of this captivating Medieval Moorish quarter. Tonight you have the option to attend a flamenco dance show and the traditional neighbourhood of Sac­ramonte. Note: in the Alhambra complex, the Nazari palaces allow a limited number of people in at a time. Sometimes your visit may be in the afternoon, depending on the timetables in which we are allowed in. In the highly improbable case of not being able to visit this area of the Alhambra, a visit to the Alcázares will be included in Seville (which have similar architecture and features). 08 TUE. Granada - Malaga - Marbella - Ronda - Seville. TODAY’S HIGHLIGHTS: we will see the beautiful Andalusian village of Ronda. We leave Granada and travel towards the Costa del Sol. MALAGA, arrival and time for a stroll in the historic centre with its cathedral and the Picasso Museum. After this we will continue along the coastal motorway with beautiful views of the Mediterranean. PUERTO BANUS, in Marbella, a pretty high level recreational port. Time for lunch. In the afternoon we will continue through the hills and their stories of bandoliers until we come to RONDA, a very beautiful white town with its large gorge that divides it in two. Continuation to SEVILLE. Arrival at the end of the afternoon. TODAY’S HIGHLIGHTS: Guided visit with local expert in Seville. Night transfer to the historic city centre. After breakfast, a local expert guides you through a scenic visit of Seville featuring the Cathedral and its famous Giralda, the banks of the Guadalquivir River, popu­lar neighbourhoods of Santa Cruz and Triana and the beautiful Plaza de España. (Note: If the group has fewer than fifteen travellers, it can be arranged in both Spanish and English). Enjoy leisure time straight afterwards. At the end of the afternoon, we will go to the historic city centre area (Calle Alfonso XII) where many different restaurants can be found. You can choose your favourite cuisine: Indian, Halal, Chinese, Spanish, International, and so on. 10 THU. Seville - Rabida Monastery - Mertola - Evora - Lisbon. TODAY’S HIGHLIGHTS: Entrance in the Carabelas Museum were Christopher Columbus started his voyage to America. Chapel of the bones in Evora. We leave Seville and in the province of Huelva, we travel to PALOS DE LA FRONTERA. We include entrance to the Carabelas Museum; this is where Columbus set sail on 3 August 1492 for America. We will see the Rabida Monastery, declared a World Heritage site, a Franciscan monastery strongly linked to the history of the discovery (entrance included). After this we will travel to Portugal. MERTOLA, a stop in this ancient Muslim city, its present church was a mosque, and time for lunch. After this, through white villages we come to EVORA city declared a World Heritage site with its wide streets, its Renaissance policies and its cathedral, we will include the entrance to the impressive Chapel of Bones, built with 5000 skeletons! LISBON, arrival at the end of the day. TODAY’S HIGHLIGHTS: Visit Lisbon. We taste the “pastel de Belem” (Belem cake). Evening transfer. In the morning we have a sightseeing tour with a local guide (note: Ex­planations may be given by our guide if the group has fewer than twelve people). We visit tra­ditional neighbourhoods, which take in the Belem district, which is the birthplace of the great Portuguese navigators who sailed the oceans in the Fifteenth Century. We shall look round the Monument to the Discoveries, Belem Tower, and enter to the beautiful Jeronimos Monastery, a UNESCO World Heritage Site. In the Belem neighbourhood, we invite all our travellers to try a “Belem cake”, an exquisite local delicacy. The afternoon is free so that you can explore this great city independently. We include night transportation to Restauradores Square , full of atmosphere with its bars and cafes from where we suggest you to take the ¨Elevador da Gloria¨ that brings you to the Upper district and its viewpoint. 12 SAT. Lisbon - Fatima - Madrid. We travel to the north of Portugal and visit FATIMA, an important sanctuary. We will continue on our way through the green lands of the centre, passing into Spain, and over grasslands we cross the North of Extremadura. Lunch included en route in a regional food restaurant . Continuation to MADRID. Arrival at the end of the day. City tour in : Madrid, Barcelona, Granada, Seville, Seville, Lisbon. Evening Transfer: Debod Temple and Plaza de Espana/Gran Via, Plaza de Oriente, Ramblas and Plaza de Cataluna, Plaza de Toros de Valencia, Albaicin in Granada, Praça dos Restauradores in Lisbon, Debod Temple and Plaza de Espana/Gran Via. Ticket admission: Plaza de Toros de las Ventas, Poblet Monastery, Poble Espanyol, Alhambra, La Rabida Monastery, Chapel of Bones in Evora. Train: Montserrat, Caravaca de la Cruz. 1 Lunch or Dinner Included in: Fatima. At the end of the day, we offer you the feeling and the flamenco. Singers attending one of the most attractive shows that you can see in Spain. Do not miss the opportunity to assist with great expectation how they capture your attention. A flamenco picture composed of singers, dancers, guitarists and percussionists who make a wonderful journey through the different flamenco styles: bulerías, seguidillas, fandangos, alegrías and sevillanas. All accompanied by a delicate dinner with Spanish products in an incomparable setting. Transfers with the roundtrip coach. Assistance by our mail guide. Entrance to the show. Dinner including three courses with water and wine. IN ORDER TO GUARANTEE THE SERVICES OF THIS OPTIONAL ACTIVITY, DUE TO ITS HIGH DEMAND, EUROPAMUNDO RECOMMENDS YOU TO GET IT IN ADVANCE THROUGH MY TRYP. La Sagrada Familia OF ANTONI GAUDÍ The Holy Family building proposes one of the most exciting experiences possible today, integrating us in the vision of a genius, Antoni Gaudí, capable of imagining at the beginning of the 20th century a building that incorporated the viewer in the process of Divine Creation, and made for almost 150 years, successive generations were involved in his dream. Something different, impossible to find anywhere else, a living element that evolves as it is concluded, together with the feelings of those who visit it and know it in depth. A monumental complex impossible to compare: a complex architectural project, a world heritage site, on whose exterior stand out its 18 towers with more than 100 meters high; its three thematic facades where Life, Death and Glory are represented by innumerable statues and symbologies based on nature and the Gospels; an interior space that allows the spiritual communion of those who enter, transferred by Gaudí to a Mediterranean forest in which the light filters with different tonalities through its stained glass windows, bathing the inclined columns branched like trees. -Entrance to the Basilica. -Right / rate Group booking (fixed time, no rows) - Authorized Official Guide -Headphone service. In this activity you will have a night out in the city of Granada to the famous neighborhood of Albaicin-Sacromonte, declared a World Heritage Site by UNESCO and where you can attend the Zambra Gitana show. We will make a short walking tour of this picturesque place where we will reach the famous Mirador de San Nicolás from where you can see the Alhambra illuminated at dusk. You will have the opportunity to attend the pure flamenco show in Granada: flamenco stick, dance, singing, guitar playing and a drink. Transfer by minibus with hostess to and from the hotel. Walk on the Sacromonte. Show with a drink. We will visit the cathedral, declared a World Heritage Site by UNESCO. A great work made over several centuries, considered one of the largest in the world in surface, a true museum inside, where is the tomb of Christopher Columbus. Then, if you wish, you can climb the famous tower of the cathedral "La Giralda" with its 104 meters where you can enjoy a fabulous view of the city of Seville. -Service local guide. -Entrance and reservation to the enclosure included. -Numbers in private with our local guide. One of the most famous and well-known tablaos in Sevilla. You will get to know the Andalusian art that is captured in the dance, the guitar playing and the cante in the show. Dancers and singers with national and international awards will show us the art of flamenco and Spanish classical dance. -Transfer with our bus and assistance from our guide. -Entrance to the show with drink included. In this visit, you will enjoy the landscapes of the Tagus estuary, the famous Costa del Sol, a resting place and residence of nobles in the history of Portugal. We will stop at the wonderful city of Sintra, immortalised by Lord Byron, and enjoy its microclimate and its many palaces and summer homes. We will continue to the famous Guincho beach where you will see the westernmost point in Europe, the Cabo da Roca, and we will stop in the beautiful city of Cascais. Afterwards, we will have a brief stop in Estoril with its famous casino. A varied tour with beautiful landscapes overlooking the ocean and the Tagus estuary. - Round-trip bus service. - Visit to the indicated places with our guide.